Village volunteers are hoping local people may have stories or mementos to share from the days when a First World War munitions testing site was based in the heart of the Lickey Hills. The Lickey Hills Local History Society, the Lickey Hills Society, and the Lickey Rangers Team are researching a group of buildings on Bilberry Hill that date from the Great War. 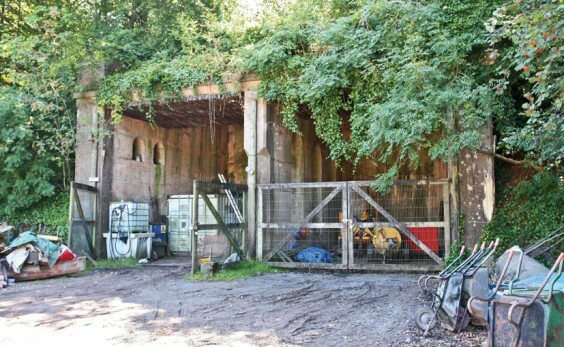 They include two large concrete gun-testing butts and a munitions bunker in the old wood yard on Warren Lane, plus a toilet block and two mess rooms next to the Visitor Centre. Volunteer groups have already dug out tons of soil that had hidden the munitions bunker. The group says the buildings form an unusual and possibly unique surviving collection and they want to find out more about how they were used and by whom. They have met representatives of the Worcestershire Archive & Archaeology Service, who are supporting the initiative, and the group plans to bid for Heritage Lottery Funding. 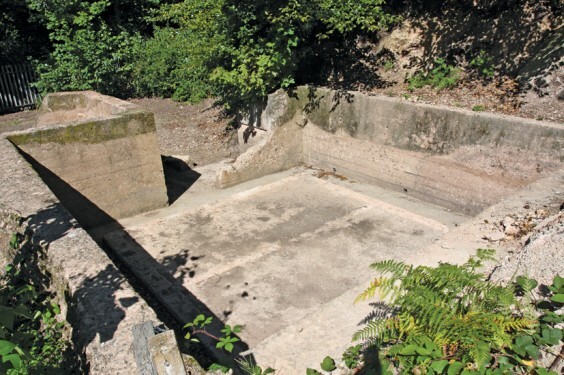 “The Country Park has hundreds of thousands of visitors every year, and most of us have walked past the buildings without a second glance, not realising their history – including me,” said Jill Harvey, of the Lickey Hills and local history societies. As part of the project a variety of archive collections will be investigated to find out more about the type of work undertaken on the site during WW1 and also the military units that were involved. People are also urged to get in touch if they have any memories or stories that have been passed down or any photographs or other physical evidence that could be used. To find out more about the buildings, an Open Weekend is being held on September 17–18, 11am–4pm at the Visitor Centre. It’s free to all and the Worcestershire World War One Bell Tent and re-enactors will also be part of the event.